The 10th US Symposium on Harmful Algae will take place from 3-7 November 2019 at the Perdido Beach Resort in Orange Beach, Alabama. This Symposium will focus on emerging HABs in the US, crossing the land-sea interface in temperate and subtropical zones in the face of climate change and shifting land use. Workshops will be held on November 3, including an Early Career Workshop for young investigators. Additional information regarding workshops will be added to the website soon. The ASLO 2019 Aquatic Sciences Meeting will be held in San Juan, Puerto Rico from February 23-March 2, 2019. Hope to see you there! The Gordon Research Conference (GRC) on Mycotoxins & Phycotoxins will be held June 16-21, 2019 at Stonehill College in Easton, MA. This GRC provides a forum for academic, government and private sector scientists to exchange ideas on harnessing advances in biology, chemistry, ecology, plant pathology, epidemiology, toxicology and risk assessment to address the problems associated with the increasing occurrence of these natural toxins. Applications for this meeting must be submitted by May 19, 2019. The 11th International Conference on Toxic Cyanobacteria will be held in Kraków, Poland, from May 5-10, 2019. 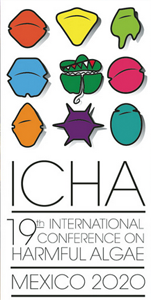 ICHA 2020 will be held in fall 2020 in La Paz, Mexico. Additional information will be posted as it becomes available. 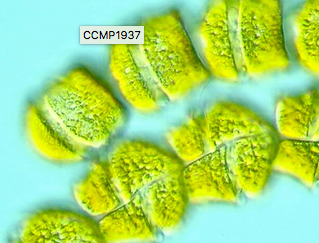 It is anticipated that the Provasoli-Guillard National Center for Marine Algae and Microbiota (NCMA) will offer the third annual U.S. training course on the identification of harmful algae in the U.S. marine waters. The course will be held in summer 2019 at the Bigelow Laboratory for Ocean Sciences Research and Education campus in East Boothbay, ME. Additional information will be posted as it becomes available. The CDC recently launched a reporting system for harmful algal blooms, as well as a new website with important information for both health officials and the public. The One Health Harmful Algal Bloom System (OHHABS) collects data on harmful algal blooms and associated human and animal illness. This voluntary reporting system is accessible to state and territorial public health partners. OHHABS is an example of One Health surveillance. One Health is an approach that recognizes that human, animal, and environmental health are interconnected, and that human health, animal health, and environmental health communities can more effectively address many linked health challenges by working together. The new Harmful Algal Bloom website provides information about harmful algal blooms and associated illnesses for the general public, including ways that people can protect themselves, their families and their pets.